I don’t see LONG SPINED URCHINS often but it seems they get washed up after a good wind blow. We had 20 mph north west winds yesterday so I saw lots of shells and live creatures washed up on the beach at Blind Pass this morning. This guy was still alive as well as lots of FIGHTING CONCHS and other shells so we put them back into the gulf for hopes of survival and more breeding. These ALPHABET CONES were not alive and they were just a few good shell finds Don from Vermont. He was out on the sand bar on the Sanibel side of Blind Pass before sunrise with a head lamp. Here’s a shot of his other shells he found this morning …. Yes, that’s a gorgeous TRUE TULIP on the right. You can see how deep the water was crossing over to the sand bar by looking at Don’s shirt below… if you can take your eyes off that beautiful red TULIP he’s holding. So to recap, Don got to Blind Pass at the crack of dawn, worked really hard to find all these beach treasures, practically had to swim back to get to the main beach…. then ends up giving most of his shells away to a couple he just met on the beach. He even made sure they knew all the correct shell names. What a nice guy! Look at all of these treasure Don gave Sara and Bob. So sweet. I walked over the bridge to the Captiva side of the pass and met Shanti and Barry that were visiting from the east coast of Florida for the weekend to do some shelling. They told me they didn’t know what a WENTLETRAP was before they found… us! They are blog buddies (!) so they wanted to see what Blind Pass had in store after the north west winds. They also told me they had to run down to the lighthouse to see if they could find some of those WENTLETRAPS we talk about. I’m sure you’ll have good luck since you’ve already had a good start with this bucket of goodies. I met another sheller who was mostly collecting KITTEN’S PAWS. Tamara is a preschool music teacher who was collecting KITTEN’S PAWS to give to her students with an added pearl inside and a note saying “You are precious”. Really, I don’t make this stuff up. These people I meet are genuinely this nice and it gives me so much pleasure to spread the word that shelling attracts these amazing people. These are a few FIGHTING CONCHS and other shells we found this morning. After listening to one of the 6th graders at the Sanibel Shell Fair and Show last week in my video, I saw this LIGHTNING WHELK and immediately assumed this was a female since the color is getting a little lighter. Hmmm. Ya think? I always love to see PEAR WHELKS! They just seem special to me. For those of you who like to keep up with the changes at Blind Pass, I made a little video today. You can see the differences with the tide change and of course, the changes that occur everyday with the sand shifting by the wind and current. Pam – Wow – what great shells!!! I hope to find a Kings Crown soon! And – thanks so much for the video of Blind Pass. It is so interesting to see how it changes! The Captiva side is much smaller than it was in December. Is it reforming over on the Sanibel side? (or did I miss something, seems weird) Can boats still get through? ok.. see.. I waited up.. and tell Don.. he is my new best friend when I move! Oh you lucky ducks! The alphabet on the left side is interesting, it looks a little different. Shelling people are the best! MA, TTM, With the way things are going, who knows…the beach on the Sanibel side might be back next week and the sand bar might be connected. The Captiva side changes constantly too. It’s wild how it’s changed even since December but yes, the boats can still get through. The main thing is…we still have good water flow through the pass. o my goodness blinds pass has changed drastically since iv ben there last!!! and that sea urchin is so weird, i have never seen one like that before on sanibel!! Love those alphabets — will Don marry me, do you suppose (lol)? The pear whelk is a beauty, too! I have one of those ligthning welks. They are so pretty. I have never seen an Urchin like this, it has a pretty color. AMAZING how the landscape, or seascape rather, changes as the days go on, isn’t it? Mother Nature is everchanging and we are the lucky one to witness each day! The color of the sky and water is so peaceful and calming to look at. Wish I were there, could spend hours shelling and just watching and listening to the waves. Thank you, Pam for keeping us updated on Blind Pass. AND the wonderful shell finds that you and the others make. Just another thought…has anyone ever thought to put up a webcam at Blind Pass somewhere to document any of this? Would be exciting to see! Hmmmm. Amazing video today. Love it all. I only have 46 days left before I am in heaven!!! What is the headlamp for? Shelling in the dark? That tulip is just so beautiful! I have only been to Sanibel a couple of times, but my ambition is to find some beautiful cones…which have eluded me so far. My family seemed good at finding olive shells, which I’m also learning to find. This was a fantastic post – thank you so much for the video and photos. I love coming to your site many times a day. Long spined Urchins are great. Have not seen them in a long time. They can be used in crafts and will not break like the sort spined ones. Love that video showing how Blind Pass is changing. I love your shell site. I look at it several times a day. Cannot wait till I am back in Florida. What started out as a one day adventure has become an addition! 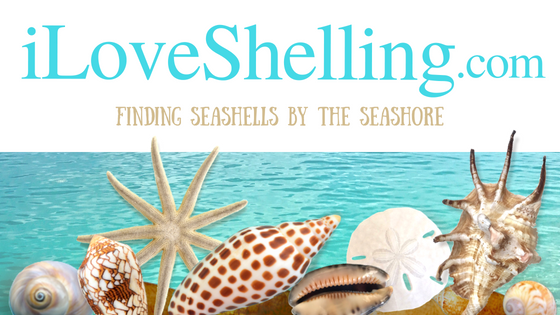 seeing all these great shells makes me feel homesick – even though I’ve never lived in FL!